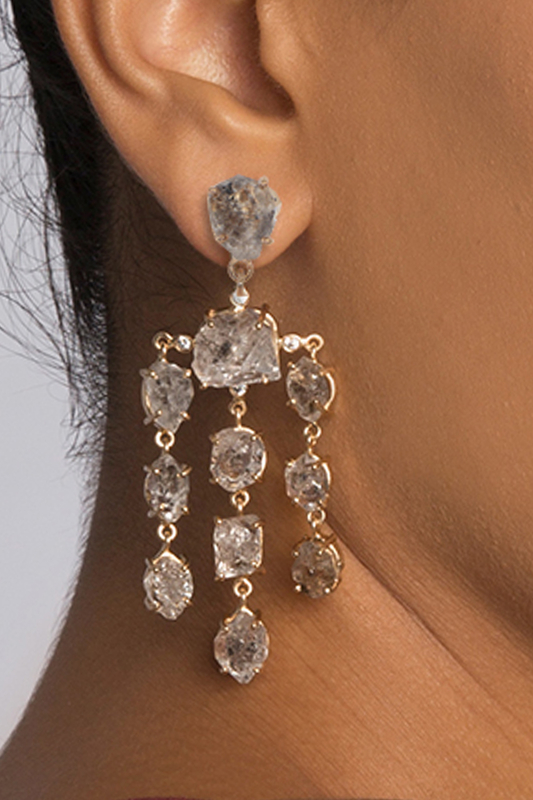 Semi-precious stone statement earrings designed by Atelier Mon at AASHNI+CO. 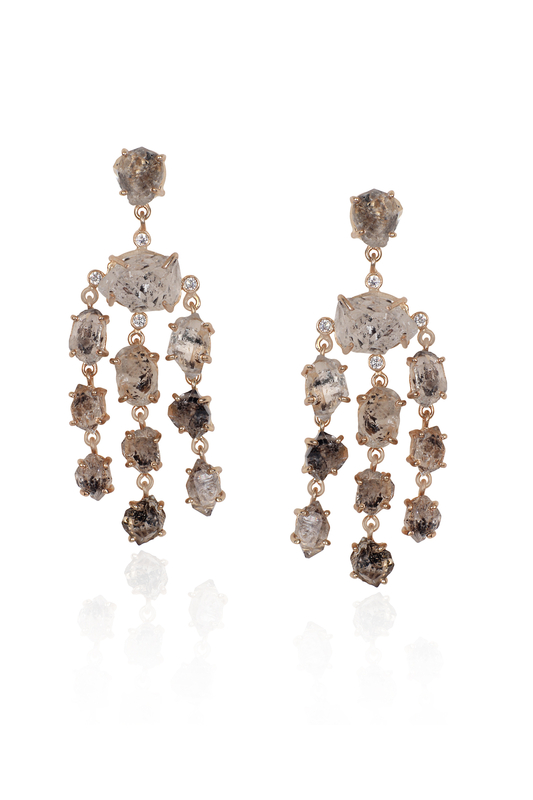 Atelier Mon designs a pair of bohemian statement earrings primping it with natural semi-precious stones. Pair it with your maxi dress of kaftan for a beachfront dinner.